The purpose of marks and Spencer case study is to select and apply appropriate tools and techniques for strategic options after thoroughly identifying and evaluating the major forces at M&S. marks and Spencer case study reveals that M & S had to face internal and external battles to bear successes and failures before emerging as a renowned name in the retail market of the UK. It followed autocratic, centralized management style characterized by top-down approach and attention to detail in the early 1990s. It also applied a standardized procedure to exert control over supplier maintain identical store layouts and design. However, this formula of success could not last long and, M& S started to face falls in profits, sales and share prices as it could not adapt its stores and management style to the market needs, dynamic customer preferences. Later on, in the 2000s, the new management from outside hiring brought drastic changes in the organization such as flatter and democratic organizational style, customer-focused approach, customized stores to represent local demographics, exclusive designer wear, new brand building approaches etc., which enabled the new management to see improvements in the operations and employees satisfaction levels. The Marks &Spencer iss considered as one of the most leading multinational retail company of the United Kingdom. The headquarters of the company is located in Westminster, London. It’s the public limited corporation whose shares are traded in the London Stock Exchange. The company was founded almost 134 years ago in 1884 in Leeds UK. The founder of the company is Thomas Spencer and Sir Michael Marks. The company severed all over the world with its good quality products (Marks and Spencer Company, 2018). The Company specializes in offering clothing, luxury food and home products. The current Chief executive of the company is Steve Rowe, and the current chairman of the company is Archie Norman. The Marks & Spencer Company offers various products to all over world customers that range from food products, menswear, women’s wear, Kids wear, beauty products, lingerie and the household products through its online site and physical stores that are available in all over the world countries (Marks and Spencer Company, 2018). The company now have 1463 stores in which some are owned, and some are franchised. 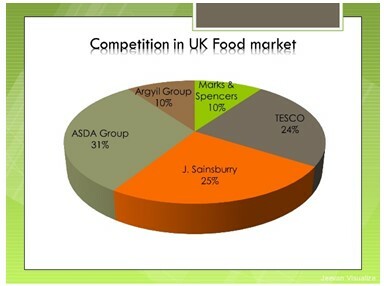 The company facts show that almost 253 stores are owned and almost 383 stores are a franchise of food stores, and almost 343 are outlets and full lined stores in the UK. The company also have approximately 428 stores that are located in Asia, the Middle East, and Europe. The company is considered as the unique retailer in the global business market with the great culture of the brand values, image and the customers who desire to see the company succeeded again. The company mission is to offer the great value of the products for the money that are spent on it (Incorporation, 2017). 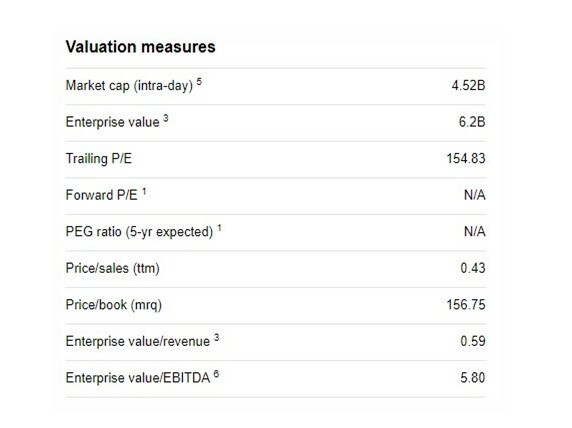 The financial position of Marks & Spencer Corporation is sound like the company sales volume, and revenue growth is good in the global market because of quality products and strong brand image. The Marks & Spencer Corporation has the extensive history of the success within the United Kingdom and other markets in which it operates its business from the time it starts its business in the market like in 1884. The company at that time have approximately 84,939 employees from which 72% of the employees are female this show the company high commitment toward the women empowerment (Statista, 2018). The employees of the company are talented that make the effective strategies and work hard work the growth of the company and satisfy the needs of the customers all over the world (Spencer, 2018). The analysis of the cases shows that until the 1990s, company’s success in terms of profits, market share can be attributed to its top-down management style and having smooth operations according to fundamental principles of offering quality-oriented products at reasonable prices and simplifying operations to increase efficiency at stores. The traditional trends surrounded the management styles and overall organizational structure at M &S till the late 1990s. For instance, there was also the trend of promoting internal employees from executives to top management. The autocratic style of the management created a controlled and supervised environment throughout the organization. This culture helped M&S standardize its operations; supplier control, merchandise assortment, store layouts and employee standards throughout the UK and ultimately led it to the heights of success because it was believed that M&S had gained a reputation of the consistently high-quality provider. Previously, quality control was a focused factor at M&S but during the late1990s quality was starting to be associated with the choice of management. What management thought fashion, was called fashion. This inward-looking culture had few inputs from the workforce in decision making. Hence, autocratic style with little empowerment resulted in the company’s inability to adapt to changing trends of retailing in the UK as well as other overseas markets. However, the new management introduced a slightly flattened structure with customer focused and developed a separate marketing department to cater to the marketing needs of the stores. Separate shopping units were also developed for having dedicated customer-focused managers and sales assistants. Another major force that worked at M &S was the fundamental principles which provided it concrete support. It also resulted in a controlled and centrally operating system in terms of suppliers; its detailed focus on quality with reasonable prices; its collaboration with the suppliers to carry out the best possible ways for the provision of specialized merchandise. However, later on, the centrally controlled procedures for running the whole organization and the stores had to be changed due to the changing retail market trends. M & S can use following external and internal analysis tools and techniques to bring changes in the organization to cope with the falling sales, profits and cut-throat competition in the retail markets. If a company wants to compete successfully in its respective industry, it must screen all the elements of this external environment. For carrying out external environmental screening, M & S can make use of PEST analysis tool. In this way, the company can come to know how changing political, economic, socio-cultural and technological elements exert pressure on it to adapt to them. It will also allow M & S to further refine its target market. For instance, M & S by applying PEST analysis tool can easily screen the changes in labor laws of the UK and its impact on its strategies of development and cutting cost by having temporary store assistants at stores. It also shows that the socio-cultural trends had resulted in drastic changes in customers’ preferences for clothing. They were becoming brand loyal, looking for quality-oriented products and choosing among new fashion trends rather than classics that once dominated M & S stores. The retailing trends in the UK also presented cut-throat competition from both the top and bottom ends of the retail. These retailers reduced the market share of M&A by offering similarly priced clothes with up-to-date fashion. The technological environment of the UK was also drastically changing and it had resulted in more online purchasing trends throughout the UK and other western countries. Thus many retailers had started promoting their stores by online promotions. M & S must also first its internal faculties and flaws in order to come up with sound strategic options. The SWOT analysis may help M &S to critically assess its strengths and weaknesses amid the changing dynamics of the retailing environment of the UK. From the case study it can arrive at the M&S strong brand recognition, strong ties with the supplier and high-quality clothing lines and other products provided the company with a competitive edge in the early 1990s. The SWOT analysis also reveals that the company’s autocratic management style characterized central command system, strict control over suppliers and inward-looking culture gradually resulted in the downturn of M &S in the retail market. 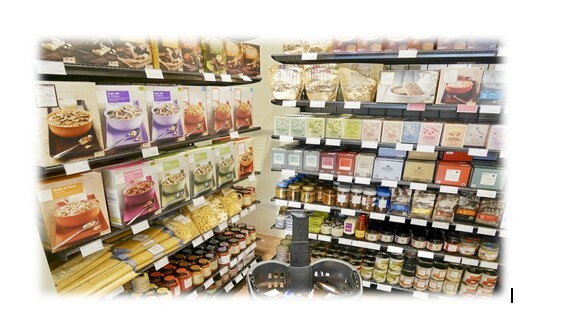 Moreover, its similar store layout and merchandising designs could not adapt to different market demographics. The changing dynamics of the market offered the opportunities for the company such as increasing number of tourists and population, consumer started to prefer quality accompanied with reasonable pricing and they also preferred global fashion trends. Moreover, people were also becoming brand conscious. 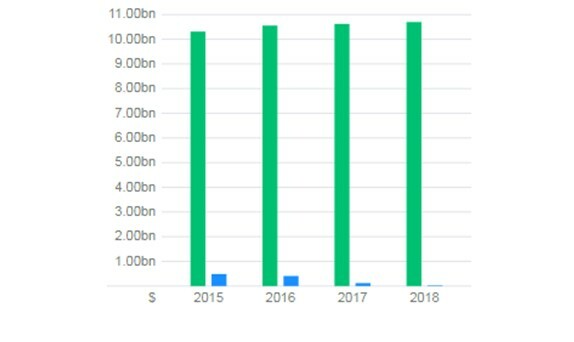 The major threats for M & S started to emerge in the late 1990s due to changes in consumer preferences, the proliferation of bottom as well as top end retailers in the retail market, new, updated fashion clothing lines in the retail market etc. From the above analysis and screening of internal and external organizational environment, M & S should aggressively as well as passively respond to changing the socio-cultural environment. It can test and assess the range of strategies such as market penetration, new market development, introducing new product lines or acquiring existing retail competitors. It can also think of following differentiation strategies accompanied by a focused approach. Refining target market: It should narrow down its target market to better respond to market needs and consumer preferences. As the women clothing line was its major product line, it should develop a separate department dedicated to exploring opportunities in the women clothing market. It should also hire women sales assistants at various stores to provide convenience to women customers. This strategic option may allow the company to strategically focus on those products line which could increase the market share of the company and give it competitive edge amid the aggressive competition from both ends of the market. It has also been found out that M & S fashion lines were not up to the market dynamics, hence there should be the customer-oriented approach for introducing exclusive designer wears. However, it has been seen that new management under Luc Vandevelde leadership introduced exclusive clothes collections to offer the latest fashion. Market penetration: M & S should also adopt market penetration by making strategic changes in it inward-looking culture, adopting new branding techniques and making changes in the control structure of the organization. The analysis reveals that new leadership changed the inward-looking culture by making external hiring and bringing talented workforce. It also adopted a new branding technique of placing St Michael logo to inside clothing. The new management also created new divisions and made the organization democratic and flatter. A new marketing department with a customer-focused approach was also created to break down the power of the traditional buying fiefdoms established around product lines. It should also adopt new internet shopping trends as other competitors had already plunged in it so that it could harness the increasing online shoppers. New market developments: the slashing or withdrawing from some markets may also give a competitive edge to M & S in the long run, because resources can be deployed on profitable segments of the market and exploring new opportunities in some new markets. However, M & S must adapt its new stores according to cultural and consumer tastes of the market so that its store’s present local taste in layout, designing and merchandising. This Marks and Spencer case study example highlights a clear manifestation of the need for awareness of the changing dynamics of external environment which offered opportunities as well as a threat to the existing status-quo of M & S. It also serves as a lesson for M & S to come up with concrete strategic options to gradually leveling up with aggressive competitors. The proposed strategic options present an opportunity for the company to regain its market share, sustain its growth in the years ahead and compete more aggressively in the retail market of the UK. The company deals in the highly competitive market. The lingerie products market in the United Kingdom is worth higher than £1.75 billion. The Marks and Spencer has approximately 40 per cent shares in this business market that contributes effectively toward its competitive position and also contributes toward the sales and revenue volume of the company. This show that Marks and Spencer is the leading player in the UK lingerie market. But with the time its share in the market reduces mainly because of the improved products and performance of the competitors and the new entrants in the market, and this raises the need that the company must strengthen its products quality for strengthening its competitive position in the market (Clark, 2018). The Marks and Spenser Company is planning to open 100 more stores in the global market by 2022 and also offers more discounts to the customers to attract a high volume of people that impose a significant positive impact on company growth and ensure the competitive position of the company in future. The company also plans to improve their relations with suppliers for ensuring their products quality (Wood & Butler, 2018). 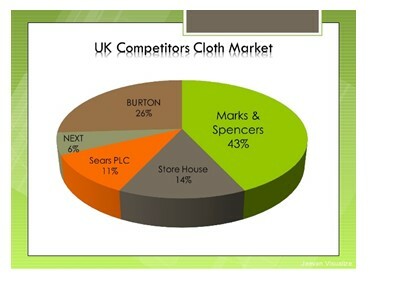 The Marks and Spencer are leading company in the UK. Its competitive position in clothing and lingerie market is remarkable but is position in the food market is not good. The company for the future sustainable growth and maintaining its competitive edge have to launch more quality products and raise its number of stores. They also have to maintain the prices of their products and invest more in marketing for appealing a large number of people. Cite this article as: "MARKS AND SPENCER CASE STUDY 2018," in Readessay, October 24, 2018, https://www.readessay.com/marks-and-spencer-case-study/, April 26, 2019. Give your feedback in the Comments Section. Want Plagiarism Free Essay—Order Now! How do I Write a Successful scholarship Essay?